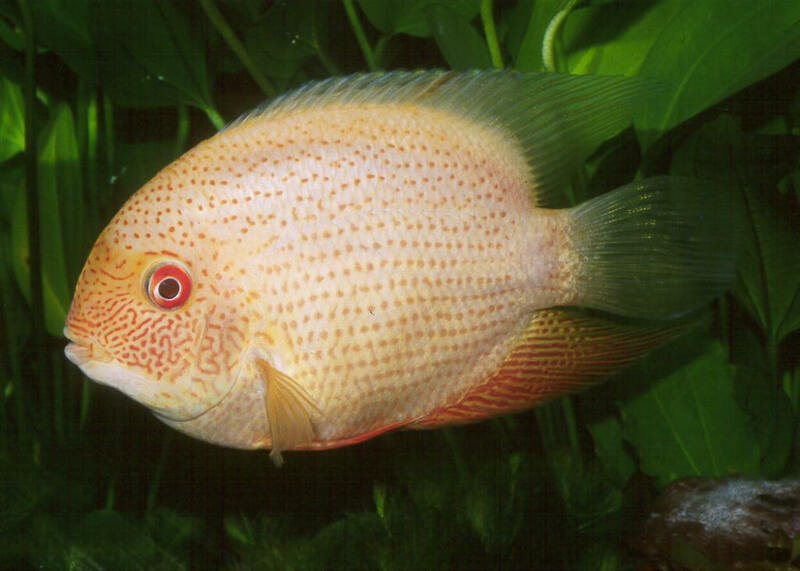 Amphilophus citrinellus (Gunther 1864), Midas Cichlid, Red Devil. Central America: Atlantic slope of Nicaragua and Costa Rica (Rio San Juan drainage, including Lakes Nicaragua, Managua, JiloÃ¡, Masaya and Apoyo). To nearly ten inches in standard length. Feeds on snails, interstitial fauna (aufwuchs), insect larvae, worms. Severum, Banded Cichlid, Heros severus Heckel 1840. Hails from the Amazon Basin originally. To eight inches (12 according to Loiselle). Eats algae, plants, fruits, seeds, detritus in the wild. A peaceful species best kept by itself, in pairs. Conditions: pH 6-6.5, dH 4-6, temp. 23-25 C., though much broader in its environmental tolerance than the wild values stated. 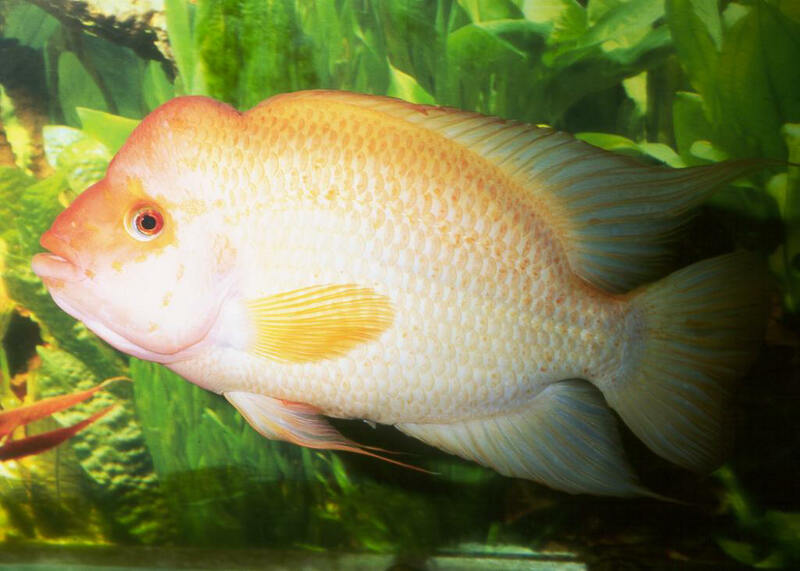 A male Golden, xanthic sport mutation. 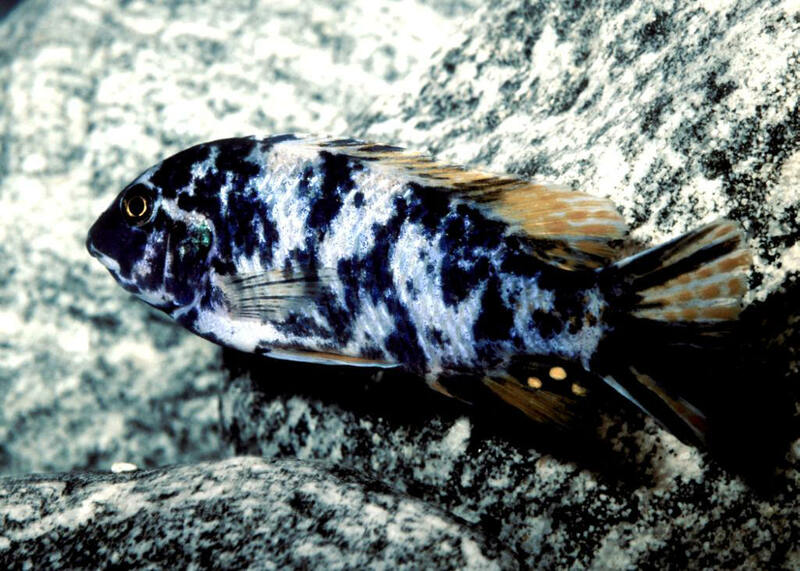 Cichla ocellaris Bloch & Schneider 1801, the Peacock Cichlid. Tropical South America in originally, many places now through careless and purposeful introduction as a food and game fish. To twenty inches, more than 5kg. 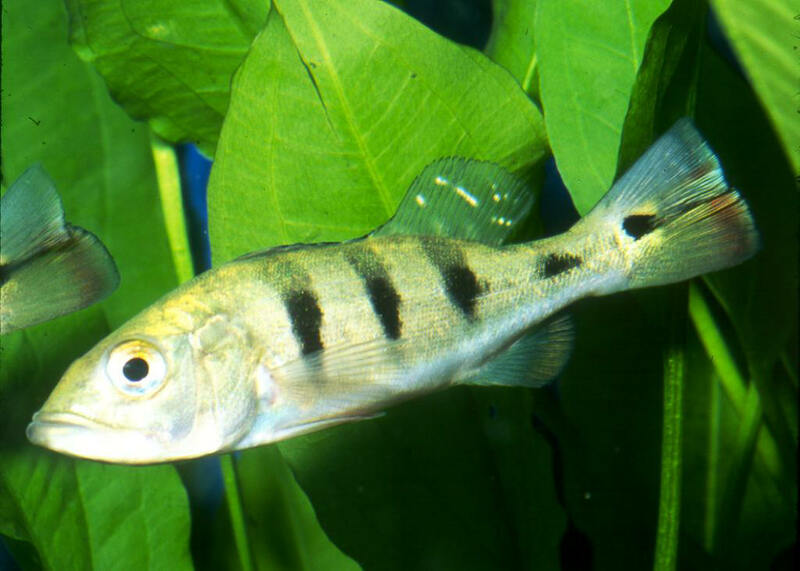 A four inch one in captivity.